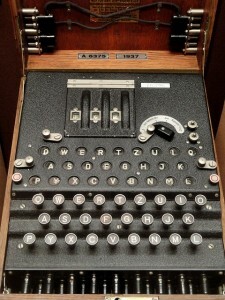 Symmetric Encryption Techniques – Block and Stream Ciphers. Two types of symmetric encryption techniques that are used are Block and Stream Ciphers, in this post I will cover them both in a high level comparison. Block ciphers take a section of plaintext (a block) and turns them into block of ciphertext of 64 or 128 bits. The block size is how much data is encrypted in one go. The output from a block cipher is usually larger than the input data, due to the ciphertext being a multiple of the orginal block size. Common modes of operation block ciphers are Cipher Block Chaining (CBC) and Electronic Codebook (ECB). Block ciphers include DES with a 64-bit block size and AES with a 128-bit block size. Stream ciphers encrypt plaintext one byte or one bit at a time, as opposed to a block of data at a time as with a block cipher. With a stream cipher, the conversion of these smaller plaintext sections of data can vary, depending on when they are viewed during the encryption process. Stream ciphers can be much faster than block ciphers, and usually do not increase the message size, because they can encrypt an any specific number of bits. Stream ciphers include RC4 (and the RC series) ciphers. DES can also be used in stream cipher mode. ‘Drown’ Vulnerability in SSLv2 and TLS. I thought I would run through the process of obtaining a certificate for a web server from Lets Encrypt the open certificate authority by the Internet Security Research Group (ISRG) , for free! The Lets Encrypt initiative has been setup to simplify the process of obtaining a certificate and make it more accessible for people to use encryption on their websites you can read more about it here: https://letsencrypt.org/. Certificates are free and valid for 90 days and need to be renewed for continuation of the service. (which can be automated). Those who have been through the process of provisioning certificates will understand the involved process to get it working, this is a breath of fresh air in comparison. Sounds great so what do we need to do? Well the below example runs through the process for an already created standard HTTP apache debian based system. 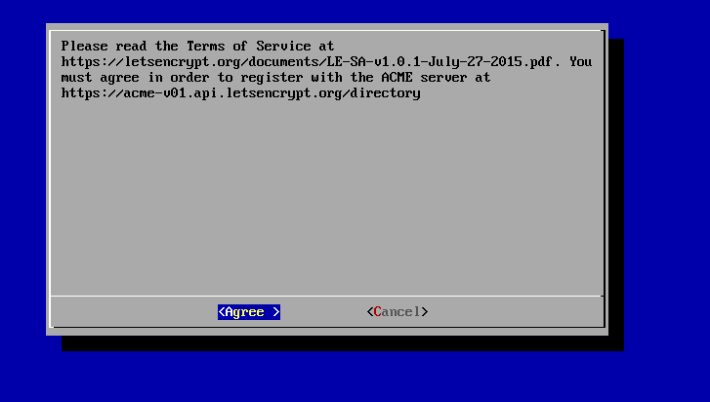 First we need to obtain the Lets Encrypt files. We will pull the files across from the Official GitHub repository. We’ll do this through git. This ensures that we have the latest version of the Lets Encrypt files. We will drop it under the /opt folder. We then need to install the Lets Encrypt client through the ‘letsencrypt-auto’ command, when this is run it will essentially pull down all the related dependencies from your OS repositories and update the client through either apt-get or yum for example. From there on you can run either ‘letsencrypt’ or ‘letsencrypt-auto’ command for new certs of renewals. Next we will obtain our certificate and bundle for our test domain testdomain.co.uk and subdomain www.testdomain.co.uk with the letsencrypt-auto command. This is the recommended method from the Lets Encrypt website. There are a number of plugins that can be used with letsencrypt run command, and a number of command line parameters you can pass, these are all designed to help ease the process along. 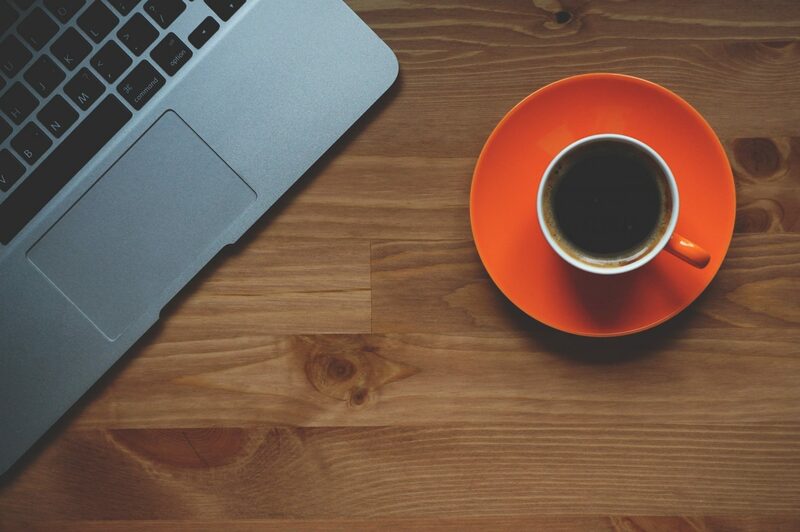 We are going to be running the Apache plugin and so will pass it the ‘–apache’ command. This plugin is designed to be used with Apache (funnily enough!) which automates the process of obtaining and installing the certificate with Apache2.4 on Debian based systems. This effectively sorts all the certificate configuration within Apache and then restarts the service. Again you can automate this by passing the –agree-tos in the command line. Next you will be asked where you want to access your site through http and https or just through https. This will renew all your certificates with all previously used parameters for certificates that are due to expire within 30 days. passing the -d parameter will renew per domain. Allows you to renew before 30 days. This will renew your certificate with a key size of 4096 bit. You can also rerun the existing command you ran earlier in which case you will be prompted that you have already run the command and to either re-run the install or renew your certificates. All that is left to do is to automate the renewal with a cron job, one for another post. Amazing that’s it! This makes obtaining a certificate for a website very accessible to people due to the way the scripts/plugins automate the apache configuration. Using Network Level Authentication (NLA). Setting Terminal Services Encryption Level to High. Force the use of TLS 1.0 protocol as a transport layer for the service. 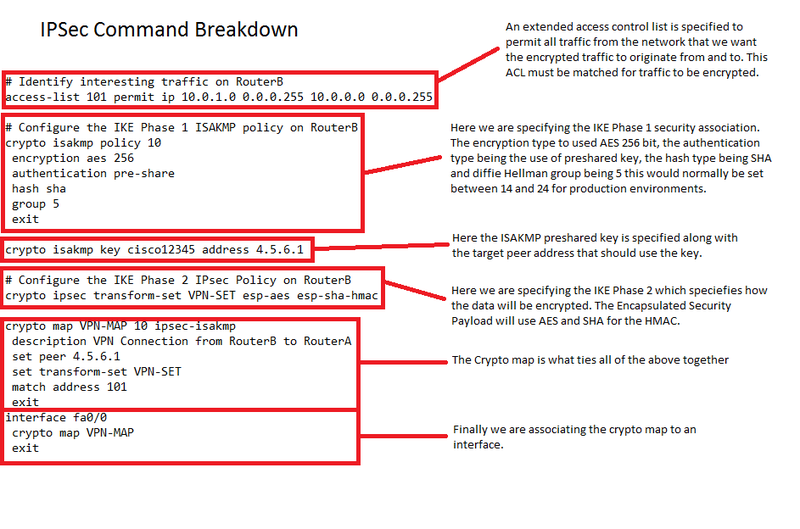 Setting the local security policy of the either the server or client to use only FIPS-140 compliant cryptography. This post will we go through how we can accomplish these tasks. This can be applied to both Servers and workstations from Windows Vista and above. Forcing the use of TLS 1.0 mitigates the risks associated with SSL 3.0 protocol. 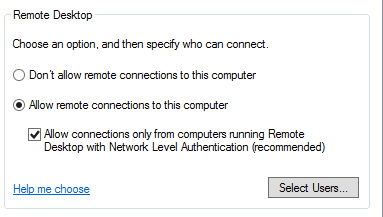 Like with the previous option this can only be set in the GUI locally on Windows Server 2008. With this being said, and from a management perspective GPO is our preferred option, in order to apply this setting to both Windows Server 2008 and 2012. This hardening technique can be accomplished by enabling the ‘System Cryptography’ through the Local computer policy editor or through GPO via the domain. It will force the use of FIPS-140 compliant cryptography for either the client or server across the system. 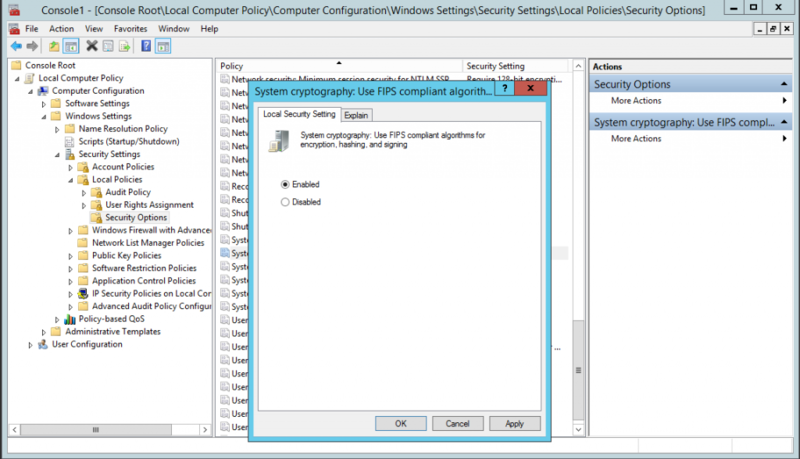 This is windows system setting rather than an RDP setting, however by setting this you will be forcing the use of FIPS-140 compliant cryptography for Remote Desktop settings. 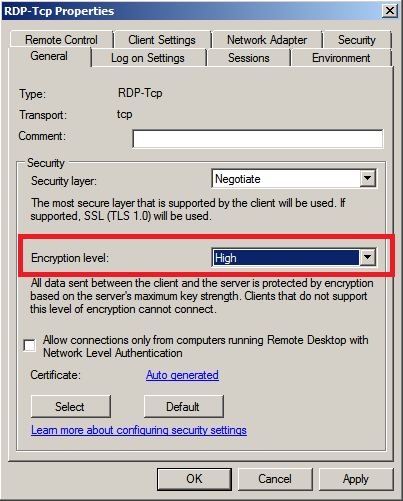 If this setting is enabled only the FIPS-140 approved cryptographic algorithms are used: 3DES and AES for encryption, RSA or ECC public key for TLS key exchange and SHA256, SHA284 and SHA512 for TLS hashing. In the case of Remote Desktop it will only use 3DES. It clearly goes without saying you should first test these methods out for yourself in a safe test environment first before diving into your main production domain or web servers. Adding higher grade encryption to your communications across the domain may have extra computation costs in terms of performance on your network. SSL/TLS cipher suite selection and breakdown. 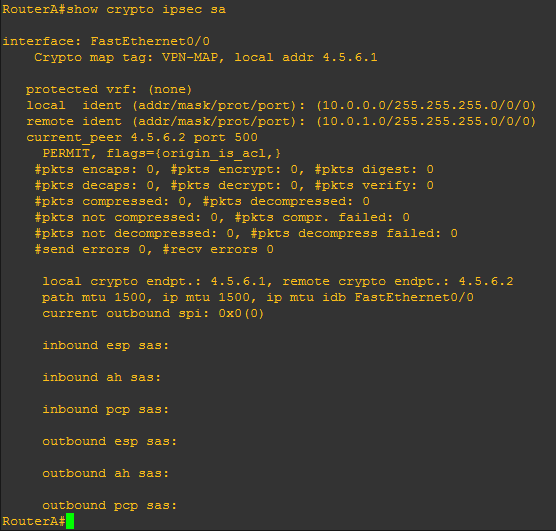 How do I know which cipher suites to select for my web server? 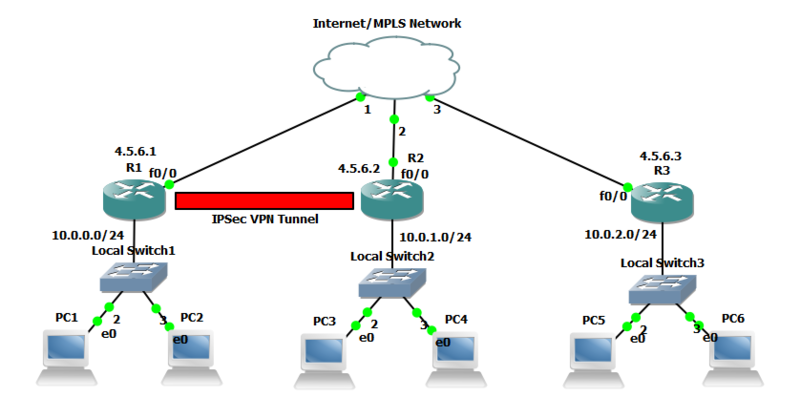 This is a common issue, sysadmins have their web servers up or vpn servers configured. However they are often using older SSL protocols and older cipher suites that are now vulnerable to attack in certain scenarios. We need to understand what a cipher suite is actually doing in order to select the correct ones. 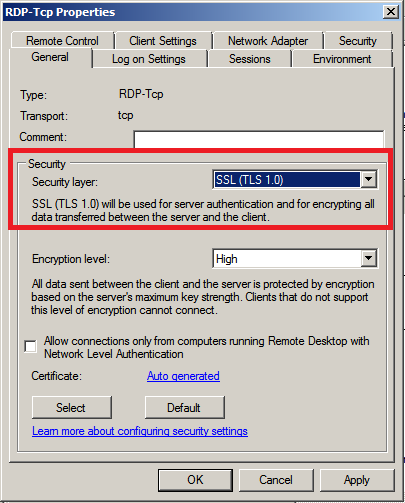 For SSL/TLS connections a cipher suite is selected based on a number of tasks that it has to perform, the client uses a preferred cipher suite list and the server will normally honor this unless it also has a preferred list, set by the sysadmin. Initial Key Exchange, the Asymmetric Encryption: This will most commonly be RSA, however the following are options; RSA ( Ron Rivest, Adi Shamir, and Leonard Adleman), DH (Diffie-Hellman) or ECDH (Elliptic Curve Diffie-Hellman). RSA key length should be 2048 bit minimum. ECDH and others should be an equal strength, note the ECDH key length will be significantly lower due to the way the algorithm works! 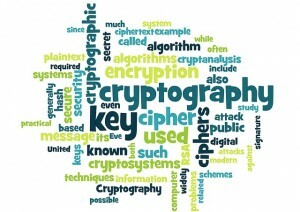 The Asymmetric Encryption is only being used in the initial key exchange and for the session symmetric encryption key. The Asymmetric encryption method could be used for the data transfer however the computational power needed is far higher than the symmetric Encryption due to the key size. RC4 (Rivest Cipher 4) although used almost everywhere is now considered weak, and being phased out by Microsoft. This should be avoided. 3Des (Triple Data Encryption Standard) uses DES and encrypts three times hence the ‘triple’. The original DES uses a weak key length and is considered weak. AES (Advanced Encryption Standard) 128 bit block size using 128, 192 and 256 bit keys to encrypt data, is all good. Many other options are available that are not so common include Blowfish, Twofish, Serpent etc. 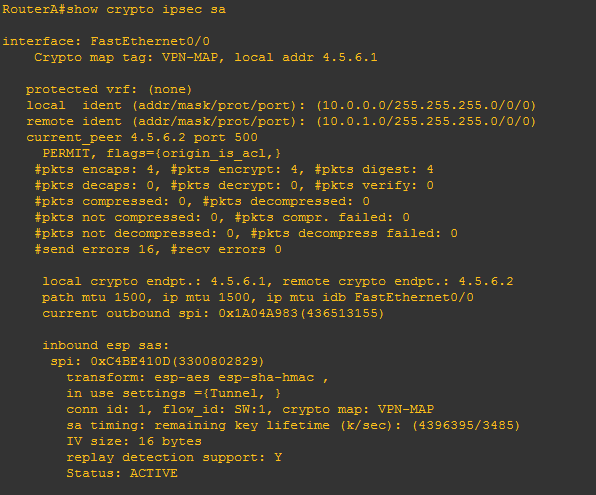 I won’t be going into the different ciphers here or the difference between Block (3DES+ AES) and Stream (RC4) on this page, I’ll save this for another blog. Digital Signature – The digital signature is used to verify the server. 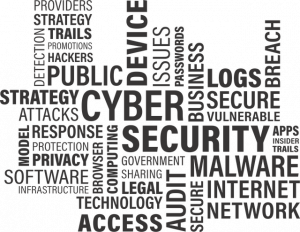 Integrity check – Here SHA-2 or SHA 256 (Secure Hash Algorithm) should be used. 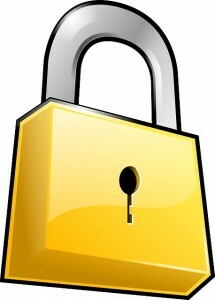 MD5 and SHA1 are being phased out due to weaknesses. SHA1 will still be seen on certificates however Google Chrome will now show a warning for this since October 2014. Microsoft has a deprecation policy indicating SHA1 issued certificates should not be used after 1/1/2017. With all that being said, lets look at a typical cipher suite. Below is what you might commonly see in the likes of Firefox if you click on the padlock in the address bar and then click on more information. Lets look at the cipher suite below for an example. We’ll break down the individual blocks to see what it actually all means. ECDHE – Elliptic Curve Diffie-Hellman key-exchange using ephemeral keys. More on ephemeral keys later, however this is what is going to give you that all important ‘Perfect Forward Secrecy’. Marked with the E at the front or behind for Ephemeral. ECDSA – Elliptic Curve Digital Signature Algorithm, used to create the digital signature for authentication. AES_128 – Advanced Encryption Standard 128 bit key size, used for the session encryption method for data. GCM – Galois/Counter Mode an operation for block ciphers designed to provide both data authenticity (integrity) and confidentiality. GCMAC – provides authentication only. SHA256 – Secure hashing Algorithm 256bit used for message integrity. With the above knowledge and knowing the current vulnerabilities in SSL and TLS we can now make an informed decision and build the cipher suites we would like to use in Windows and Linux.